I was introduced to Earthwise Beauty through Boxwalla. 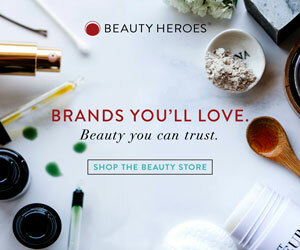 I’d been impressed by the uniqueness of their products, and I loved its founder Ava Zhan’s fresh take on green beauty. After my Boxwalla review, Ava kindly sent me more of her products to try. She sent products that specifically suited my skin type, and after trying them, I can confidently say that Earthwise Beauty is currently one of my favourite skincare brands. Without further ado, let’s get right into the (mini) reviews. Carrot-a-Day Face and Eye Serum Classic: This is currently my most-used skincare product. The reason I love it so much is that it suits my skin type (oily, acne-prone) perfectly. A light anti-aging gel serum, it prevents breakouts, controls shine and moisturises without leaving a residue. If you have oily, acne-prone skin like me, you absolutely need to try this! I try so many products designed to reduce inflammation, but this is by far one of the best. I love its carrot-seed scent because it reminds me of some of my favourite iris scents (carrot seed is occasionally used as a substitute for orris root in perfumery because of their similar scent profiles). The scent may be too strong for some, but I adore it. I heard rumours that Ava is discontinuing the classic version and retaining the sensitive, I hope that’s not true! Amazing Basic Face Moisturizer: As the name indicates, this is a frills-free moisturiser that works amazingly well for all skin types. It’s a cooling, non-comedogenic, multi-purpose moisturiser that you can use all-year round. I didn’t think I’d love it when I first received the product, but I’ve been using it a lot. It’s what I reach for when I need something light that doesn’t react with any of my ‘active’ serums and treatments. It layers well with most products (I love using it over Carrot-a-Day). If you are looking for a light moisturiser that doesn’t overload the skin, look no further! It really is a great product. The only negative is that the formula tends to separate, but it’s nothing a light stir with a spatula can’t fix. Ferns and Moss Organic Face Serum: This thick oil is designed for skin types that need extra care and repair, and I can imagine it working especially well if you live in a cold area or have extremely dry, sensitive skin. The great thing about this serum is that it doesn’t clog pores despite its rich texture. Personally, I prefer their Ruby Facial Oil, but I like how well-crafted Ferns and Moss is. I like to use it when my skin feels compromised and needs extra TLC. Blackstrap Molasses Mask: I don’t like the smell of molasses, so I wasn’t sure how I’d go with this product – but I really like it. It does smell of molasses, but not in a sticky, sickly-sweet way. The molasses just adds a hint of sweetness to an otherwise earthy scent. It contains Hungarian moor mud and Moroccan lava clay to deep cleanse the skin, and it calms breakouts without drying the skin. It has become one of my most reached-for clay masks, and I’ll definitely repurchase. Final Thoughts: Earthwise Beauty is amazing! Their products truly work for my skin type, and I’d highly recommend their products if you have inflammation-prone skin. Their packaging, which I wasn’t sure of at first, is definitely growing on me, and I like how travel-friendly their smaller sizes are (these were some of the only products I carried with me on my recent trip to Thailand). Their products really do make a difference to the texture and condition of my skin, and I can’t imagine being without them! © 2017 JustAskArjun. All opinions/views are my own. I accept press samples for review consideration, however, all products are treated with the same level of scrutiny.